A cancelled flight to Grimsey gave us the chance to slow down a bit. 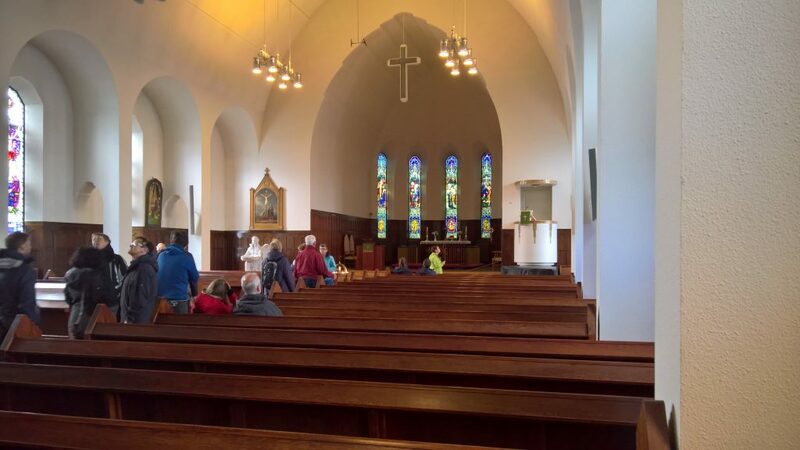 We spent the morning in Akureyri, visiting the church and the city center. Our flight to Grimsey was scheduled for 13:30 so we had lunch at a local fish and chips. Everything was delicious but I loved Plokkfiskur. One hour ahead of the flight we received bad news: it was delayed. We drove to the airport for further informations and they told us that the flight from Greenland with our pilots has been delayed due to polar bears (?) on the runway. Even if our holiday was made of 22 days, the schedule was busy. Sadly we had to cancel our flight (we had another chance in our last week). That gave us more time for sightseeing. We headed east (the tunnel was not yet open) and stopped at Godafoss. Then we headed further east, reaching Myvatn and Dimmuborgir. Our stay for the night was north of Myvatn, closer to Husavik: where we had dinner.